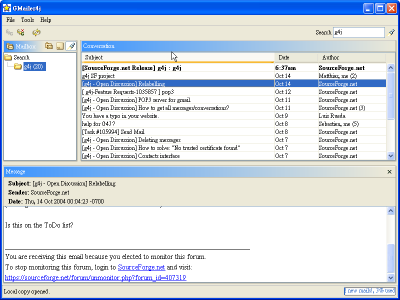 An Email application, GMailer for Java is also built to demonstrate the usage of the API. It is planned to include minimalist email capabilities such as browse, search, read, send mail and download attachment. And the screenshot for the example provided.